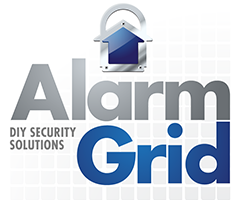 ​A wireless alarm control panel is designed to be the centerpiece of a security set up. Our wireless systems utilize the latest and most advanced technology to provide complete and total control for end users. They make a great addition to any home or business. Take a look at our fantastic selection. The central hub of any security set up is the alarm control panel. Wireless alarm control panels are very easy to use and program, and they provide an excellent selection of features and functions for end users. As the primary component of a security set up, a wireless control panel will connect with all of the security devices in a user’s network. If the user needs to access any of the devices or change any of their settings, they will do so through their wireless alarm control panel. Additionally, adding or removing sensors is fully conducted through the panel itself. Setting up a new sensor is remarkably simple when using a wireless alarm control panel, making this type of system an outstanding choice for any DIY user who wants a complete security and home automation package. Whenever a security or life-safety device is activated, the corresponding zone of the system will be displayed on the control panel with a fault condition. This will allow a user to quickly identify the problem that has occurred and determine what type of action should be taken. The device can also be programmed in a way that once activated, the alarm control panel will immediately send an alert to a central monitoring station, instructing them to request immediate emergency dispatch. This can be used to quickly send for a fire rescue team if a fire occurs or to request prompt police dispatch in the event of a break-in. Wireless alarm control panels can connect with a network using two methods. These methods include an IP connection, often through WIFI, or a cellular connection using cellular service from a reliable and trusted cellular service provider. Many users choose to utilize both of these communication methods with their system to ensure that their setup is extremely reliable and that their home or business is always monitored and protected. This is called a dual-path communication setup, and it is highly recommended for anyone who wants the most reliable protection possible. All of our wireless alarm control panels are capable of connecting with an interactive service, such as Total Connect or Alarm.com. These services provide a tremendous amount of features and capabilities for users, allowing them to utilize their alarm control panel in exciting new ways. For instance, a user can access the Total Connect or the Alarm.com mobile app to remotely arm or disarm their wireless alarm control panel while they are away from home. They can also check the current status of their system and all of its programmed sensors at any time. One of the most amazing functions of an interactive service is the capability to use it in conjunction with home automation Z-Wave devices. All of our wireless alarm control panels are able to connect with Z-Wave devices in order to provide users with unprecedented levels of access and control over the devices in their home. Z-Wave devices can be controlled right from a wireless alarm control panel or remotely using the mobile app of your interactive service. Just imagine being able to turn the lights on inside your house or adjust your Z-Wave thermostat from anywhere in the world. Once you have your wireless control panel fully set up, you’ll wonder how you ever lived without it. Can I turn off a siren on an L5100 security system? How loud is the siren on a LYNX L5100 alarm system? Which routers are compatible with the LYNX Touch?